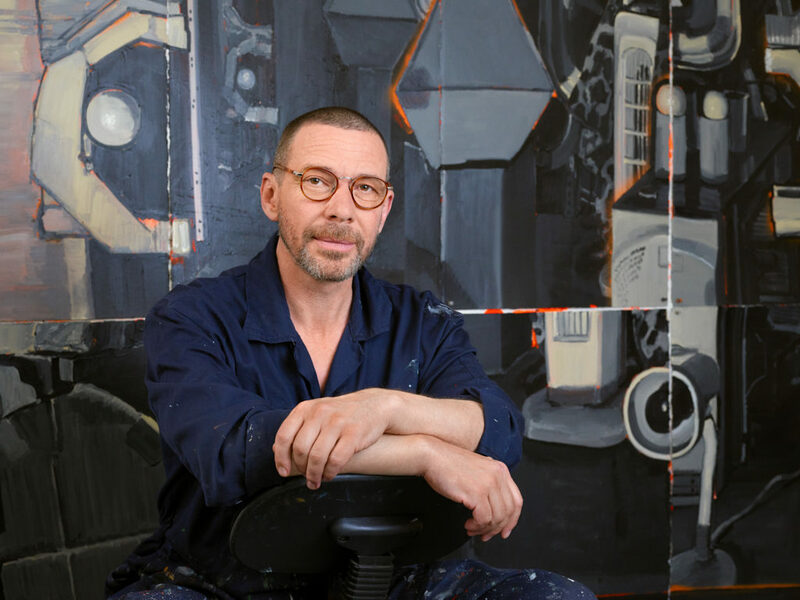 Simon Ling (born 1968) is engaged in depicting the world around him through painting objects and constructions principally found, sometimes made. Ling’s subjects, which include rotting piles of wood, undergrowth, circuit boards, and nondescript blocks of flats are inhabitants of the realm Ling calls the ‘un-named’, the dark matter of cultural reality. At first sight straightforward, his paintings of overlooked corners of the everyday generate works that bring this dark matter to light and include as their subject the creative act and temporality of the conscious mind. Ling’s practice is characterised by a sustained and intense engagement with looking and the painting process. His works are animated by the cognitive drama that results from engaging a thing through the practice of creative observation to produce an object alive to perception. 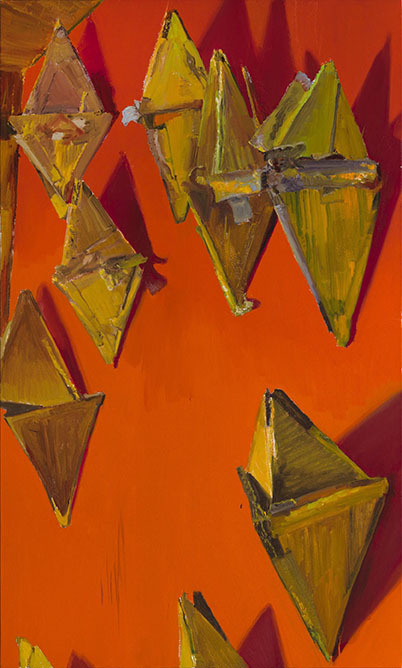 Over the past three decades, Ling has lived and worked in London, describing its nooks and crannies with a reverence and dedication suited to history painting, which he describes as a ‘perceptual archaeology’. Ling has recently exhibited at the Towner Art Gallery in Eastbourne, his first solo presentation in a UK public institution. 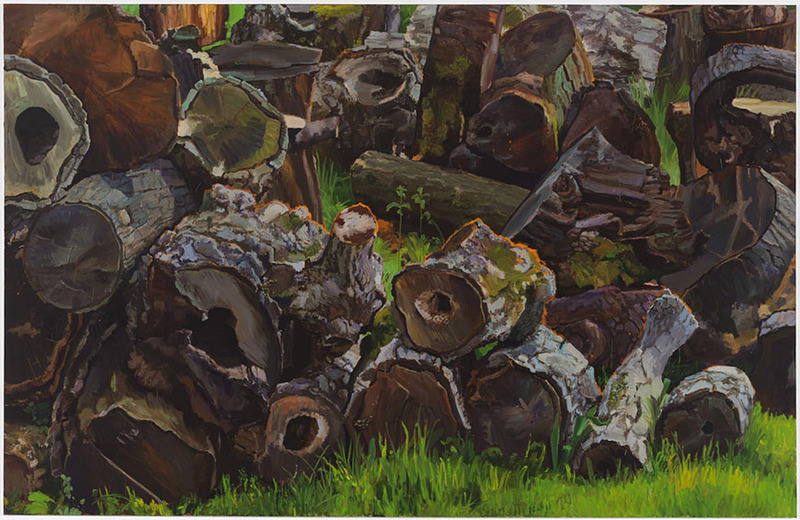 Other recent solo exhibitions include Greengrassi, London and Bergen Kunsthall, Bergen. Selected group shows include Tate Britain, London; Camden Arts Centre, London; CAPC, Bordeaux and Islington Museum, London. Firstly, I am very pleased that someone saw fit to nominate me for a Paul Hamlyn award and very happy to have been awarded one. The Award will make it possible for me to carry out projects I have planned and to continue working and maintaining a studio in London. Without it I would find it difficult to produce large scale works from the subjects I want to paint. The award will take the financial pressure off and allow me to progress as I wish to. I would like to thank the person who nominated me, and the judges who decided to present me with an award. 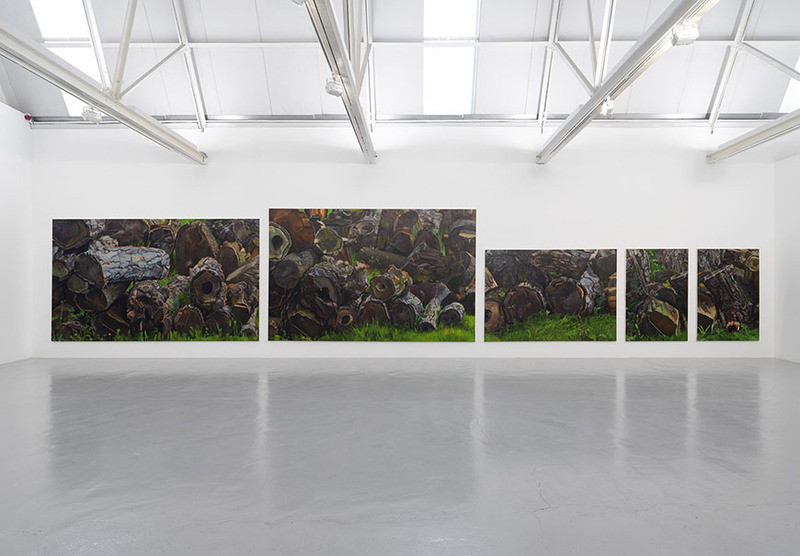 Installation view of Ling’s solo exhibition at Greengrassi Gallery, 2017. Oil on canvas. 264 x 409 cm. Oil on birch ply. 110 x 80 cm. 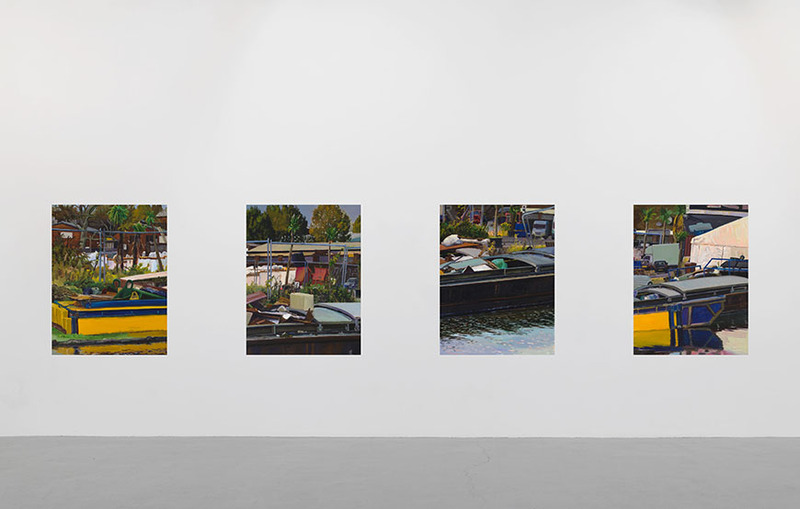 A series painted from the canal in Hackney Wick. Oil on canvas. 152 x 91.5 cm. Painting made from construction in the studio.